Redditors love to try to solve crimes. As many of them gathered to pool clues to the Boston bombing case on Wednesday, there was another group on the site still working to debunk a rumored "murder" caught on Google Earth. 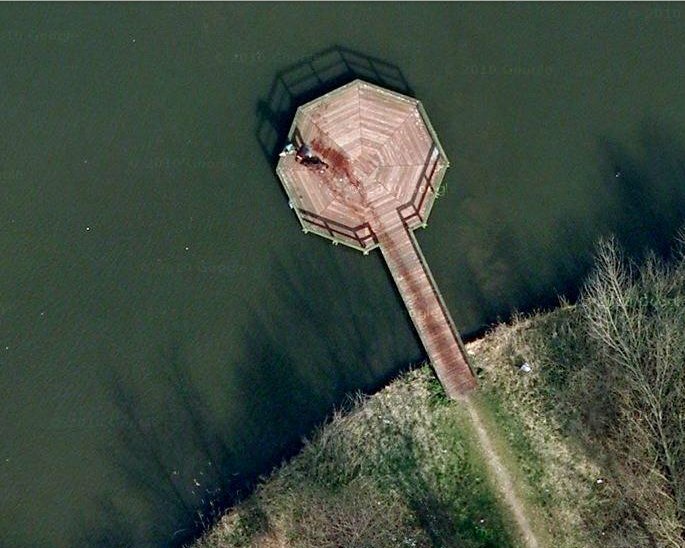 The story goes like this: On April 12th, a Redditor named ncav posted the photo below from Google Earth with the caption "A murder near my house on Google Maps, link in comments." 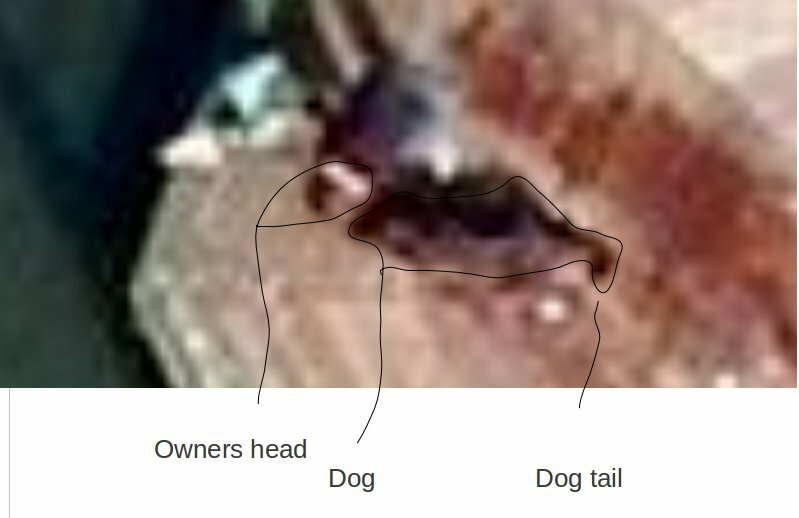 Ncav then provided the link, which shows that the image is from Almere, Netherlands, and said that he and his friend had notified the police. A few sites, including Gizmodo picked up the story. Redditors then took it upon themselves to debunk the murder hypothesis. Zoom in as far as it will let you by clicking on the "+" sign at the top of the magnification slider at the top left of the map. When you're in as far as you can go (heh/sorry) but not all the way to street view (if the location you're looking at even has street view), look over at the white space just to the top left of the map....where the little printer and chain link buttons are. Click on the chain "link" button. That will show you a box with a long URL to the map you are looking at and another box with some HTML code to embed. Ignore the HTML code. Copy the long URL and paste it into your browser's address bar, but don't hit enter to go to that URL yet. Instead, click to edit it and scroll all the way to the right. It should end with something like "&z=22". Change the 22 to 23 ("&z=23") and hit enter. If Google Maps has imagery at that higher zoom level, it will show it to you. Looks like a dog got out of the water and shook itself dry, then walked off the dock while dripping water, the wet wood looks much darker in color. You can clearly see where the dog shook, walked off the deck, then walked back to his owner on a separate lighter colored path on the bottom. A third Redditor, nemo96, noticed that if you zoom out a bit, you can see people walking and biking right by the dock. These people would definitely have seen the supposed crime scene. And there you have it! 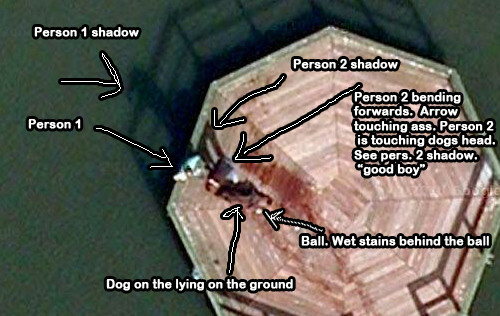 What was first thought a homicide ended up just being a couple of people playing fetch with a dog on a dock. Another mystery solved!